Here is yet another fun item to create with spices. 6) Add this mixture to sea salt or other product or Use as an accord in a solid perfume. This process is called infusion. 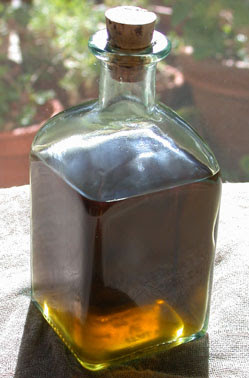 Top image: Photograph of bay leaf tincture. 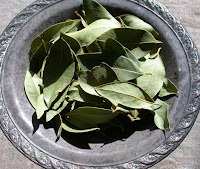 Middle: Bowl of dried bay leaves from Santa Cruz. 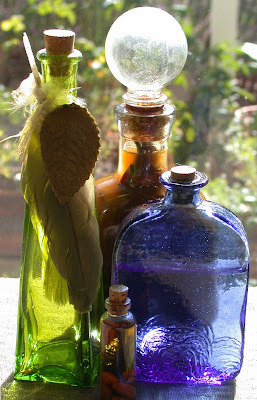 Bottom: Assortment of Roxana's infusions and tinctures.